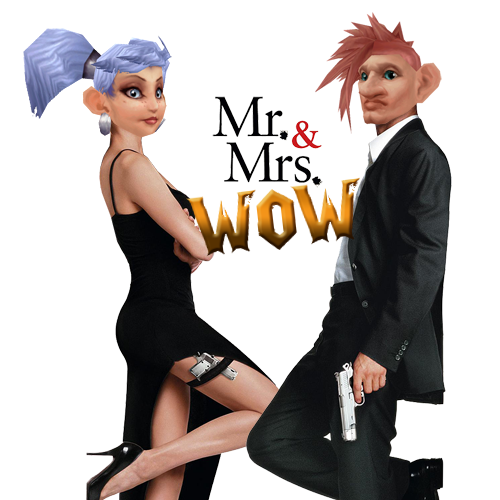 Dress Up – Hero AND Vanilla! We have actually blogged this before and Mr B actually worn it! 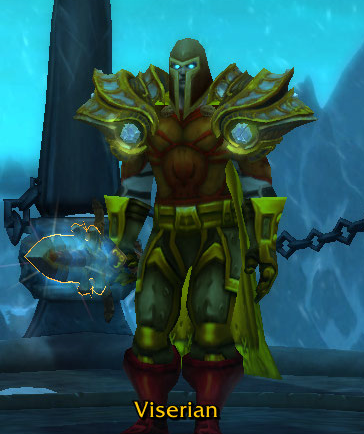 I hope you’re proud ^^ This is Mr B’s DK in his Ironman mog. Click here for the items and descriptions. I had to check exactly what this meant, and the idea is the original Warcraft game, not the colour. Hmmm… /ponders. 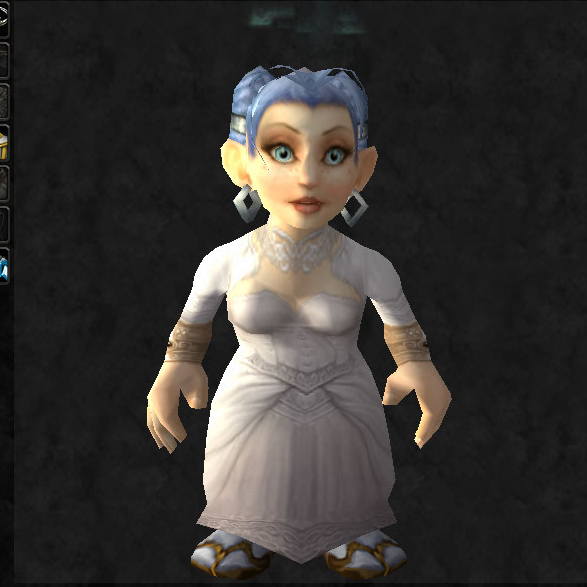 I have decided to do the last raiding tier of Vanilla, which is Naxxramas. 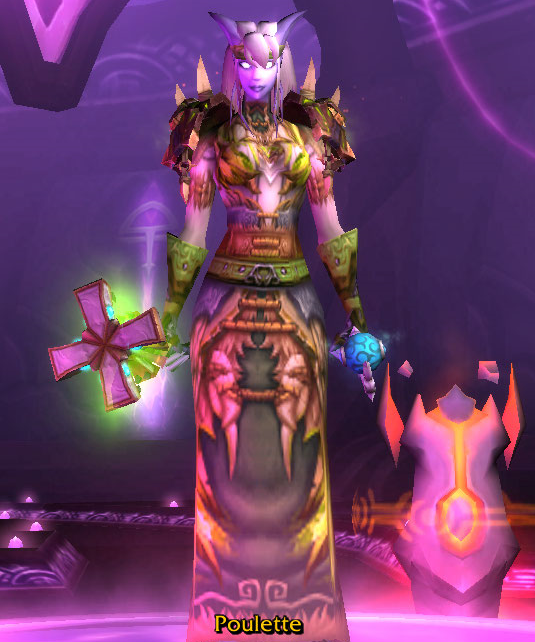 I also really like this raid (and the mogs!) 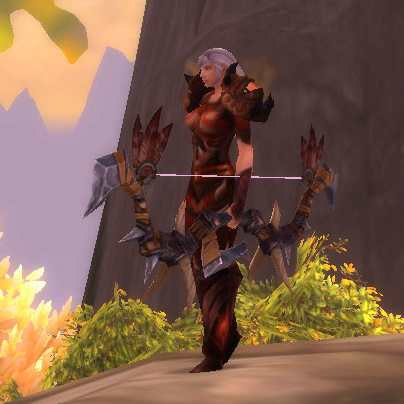 and I even have the weapon I’m using here (even though I’ve never mogged it as nothing really does it justice). 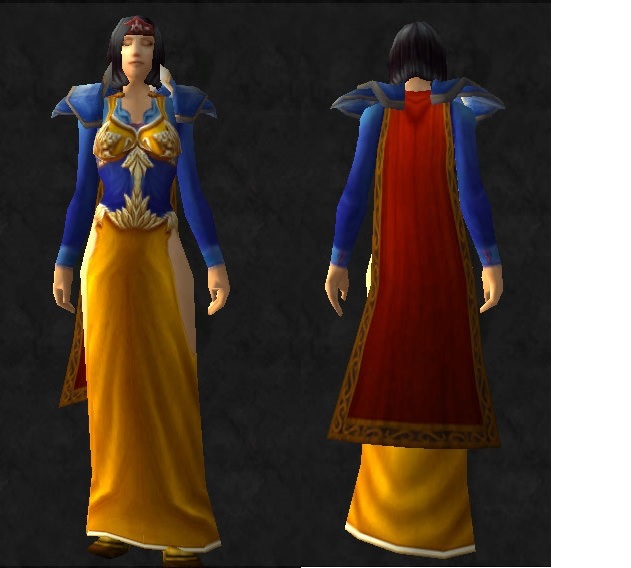 All items are the Frostfire set from Naxx (head, shoulders, robe, gloves, feet and waist). 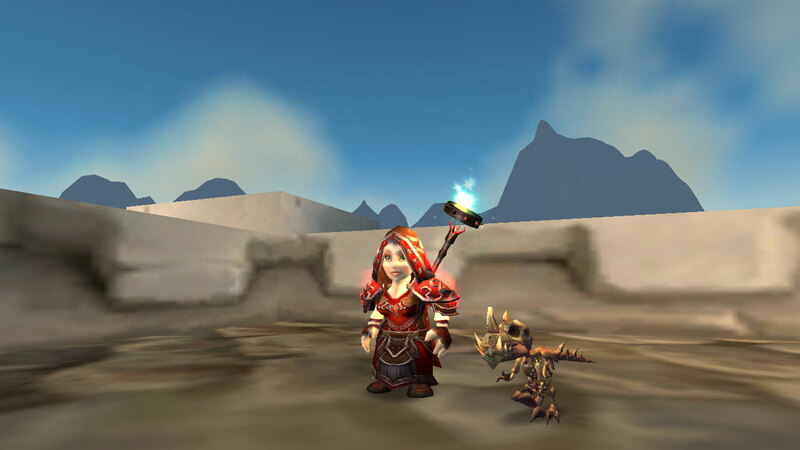 The weapon is Charmed Cierge which drops from Naxx 10N. I’ve really enjoyed this challenge from Batinna. I’ve especially enjoyed the farmer and princess challenges, although I know Mr B enjoyed the hero and knight ones! Thanks @GPBatinna! 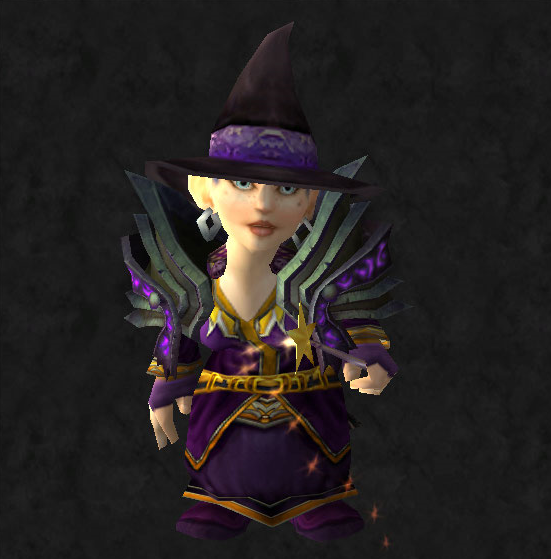 This is @GPBatinna’s transmog challenge! 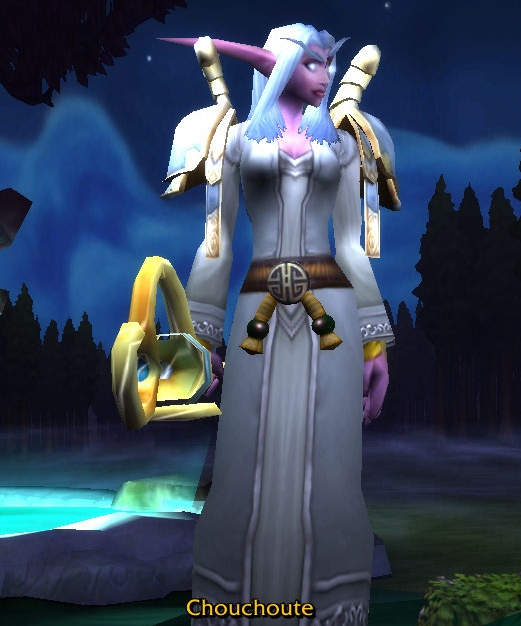 This is a mog that I have actually had AND worn! 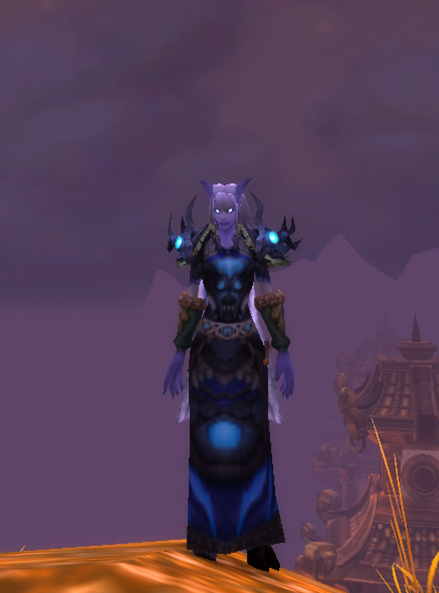 I love this mog, I hope you do too! Welcome back to the Nature edition of Dress Up by @GPBatinna. When I think of nature, I think of the elements. Air, Fire, Water, Earth. I also think of the weather. 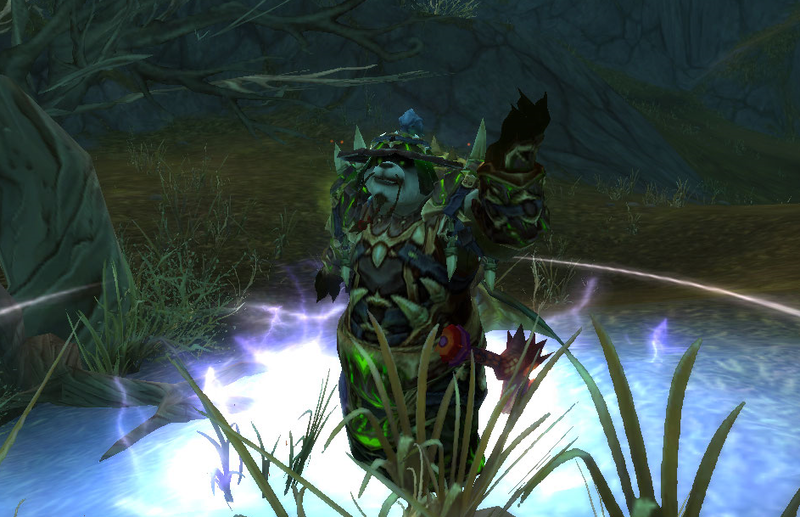 My Shaman has loads, as I’ve always kept to what I think Shamanism is about: communing with nature. 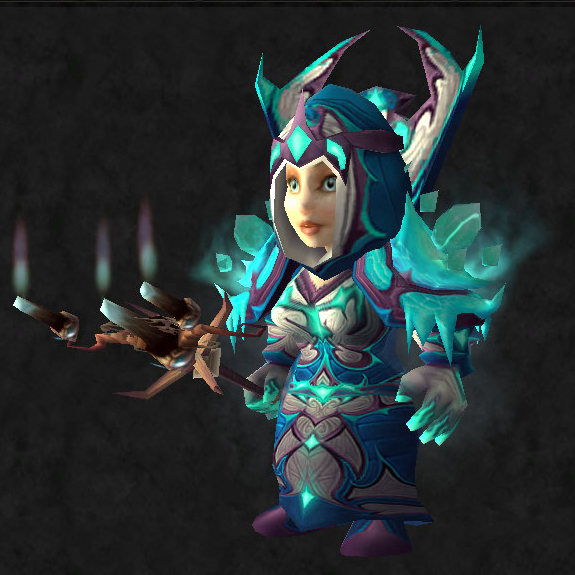 Or a newbie Druid in her level 1 robes? 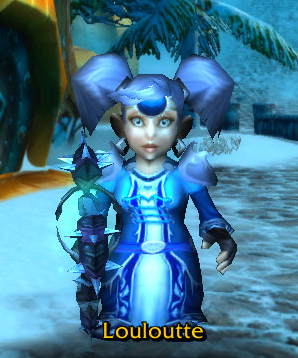 My Mage, who has always had an Ice/Frost or Fire mog…. 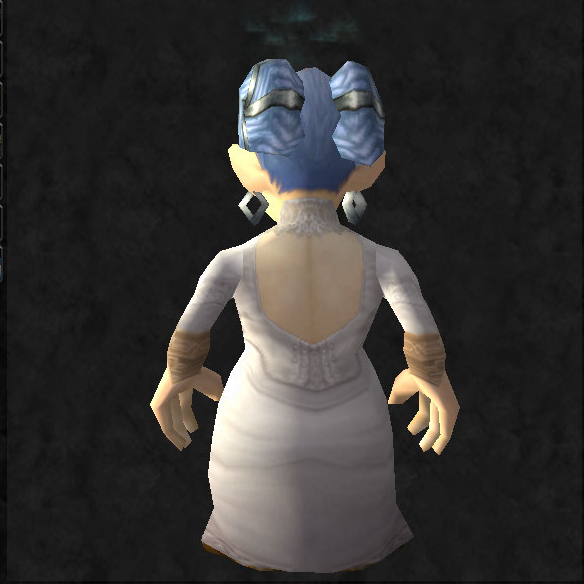 Most of these mogs, if you’re interested, can be found on the navigation bar on the right hand side, under Transmogrification. I love Disney and their Princesses, so I decided I would see if I could copy one. 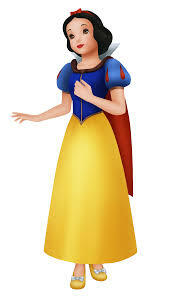 The most interesting (other than my favourite, Mulan whose Chinese style was hard to copy), was Snow White. All of the others just had block colour dresses which I thought would be cheating a bit! 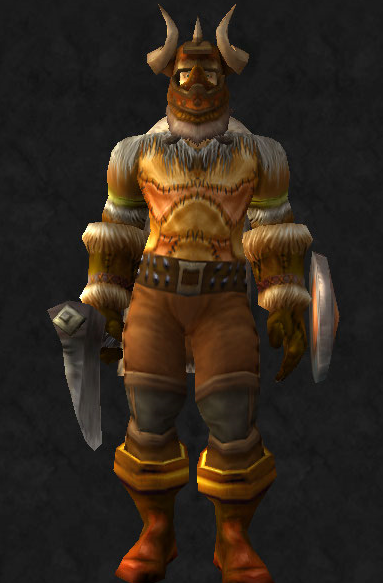 So, I used my human Hunter to reproduce the look. I didn’t stick to mail, I used anything I could to get the right colours and style, so do forgive me. 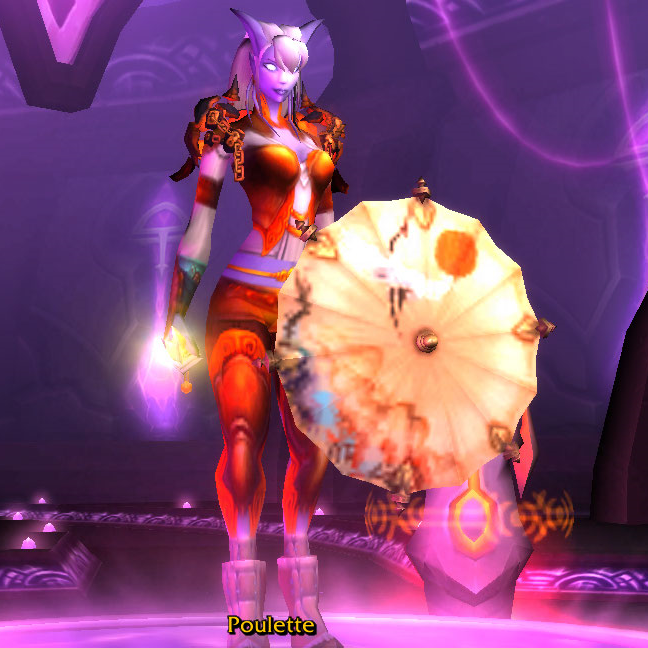 It’s always such a shame that WoW hasn’t got nice footwear in… some pretty heels would do the job nicely here! We’re back for the next installment of Dress Up, by Batinna! I really enjoyed making this! 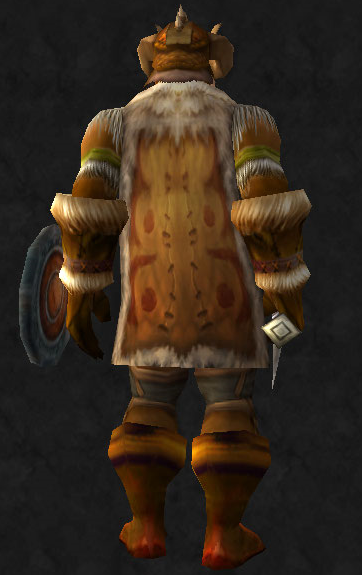 I tried to use things only the Viking’s might have access to, but the names of the items of clothes played a big part in the creation of this mog too. Obviously, I’ve gone on what I thought a Viking may have looked like – lots of leather and cloth, the traditional two horned helmet and an axe, to chop people up with. Duh. 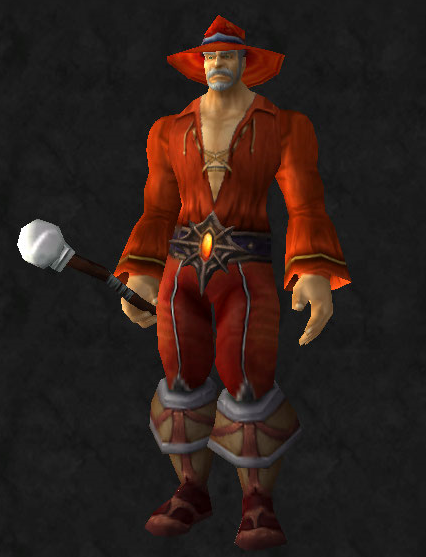 I can’t believe I’m dressing my dear Banker up as a Pimp, but here goes! I haven’t ever seen a Pimp, nor looked at what they’re wearing, so all I know about them is from films. 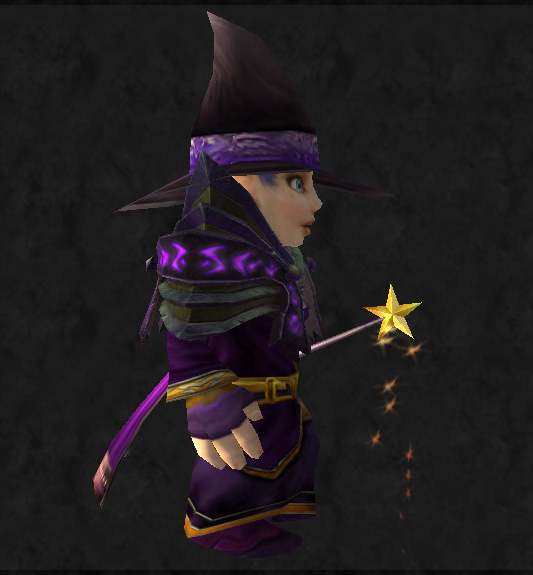 I’ve gone with the block colour, bling-bling image that I have of them from the movies. I would have loved a cane and more leopard print, but unfortunately haven’t been able to find it.